It is the stable component combination of AHA arranging unnecessary dead skin cells of skin surface and BHA arranging the waste and sebum in the pores cleanly, and the daily toner normalizing the turnover of the skin likely to be in disorder and keeping the bright and clean skin. 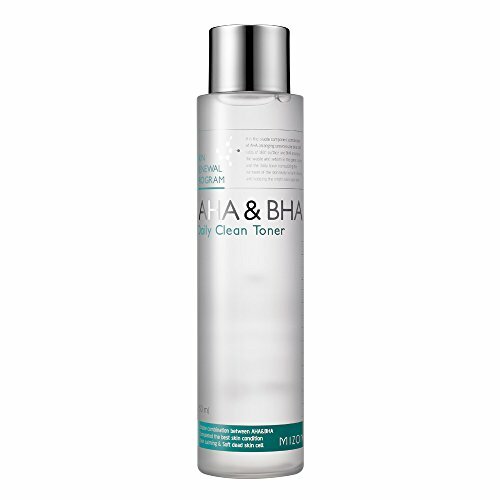 The daily peeling toner gently removes skin dead cells that cause skin problems. The formula of AHA and BHA removes damaged skin dead cells effectively. AHA smoothens dead skin cells and rough skin texture. BHA removes skin wastes in pores, promotes skin turnover, and helps skin keep the healthy condition. If you have any questions about this product by MIZON, contact us by completing and submitting the form below. If you are looking for a specif part number, please include it with your message.